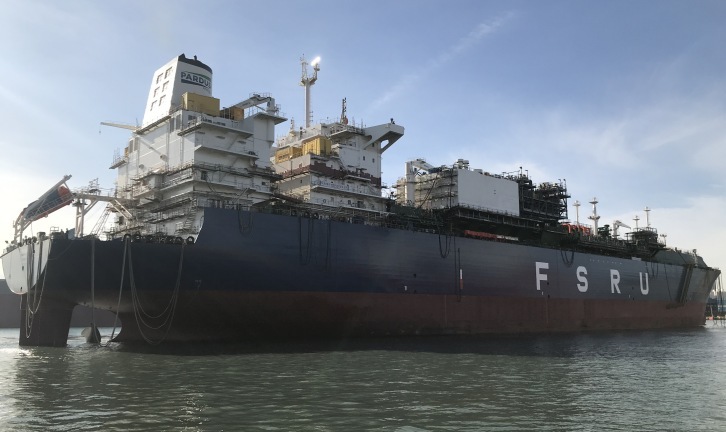 WSM will be providing ship management services for the new Floating Storage and Regasification Unit (FSRU) named “Turquoise”. The FSRU is a 170,000 CBM gas processing vessel, built at Hyundai Heavy Industry, South Korea. The FSRU will be managed by Wilhelmsen Ship Management Malaysia. Pardus Energy's FSRU Turquoise will be fully managed by WSM. Image by Wilhelmsen.